Biosurfactants are amphiphilic molecules that interact with the surfaces of liquids leading to many useful applications. 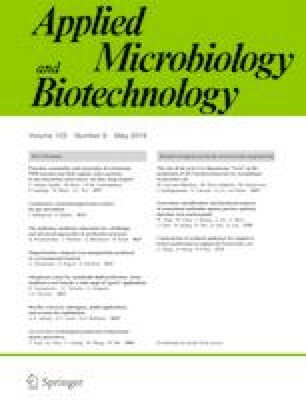 Most biosurfactants have been identified from cultured microbial sources, leaving a largely untapped resource of uncultured bacteria with potentially novel biosurfactant structures. To access the uncultured bacteria, a metagenomic library was constructed in Escherichia coli from environmental DNA within an E. coli, Pseudomonas putida and Streptomyces lividans shuttle vector. Phenotypic screening of the library in E. coli and P. putida by the paraffin spray assay identified a P. putida clone with biosurfactant activity. Sequence analysis and transposon mutagenesis confirmed that an ornithine acyl-ACP N-acyltransferase was responsible for the activity. Although the fosmid was not active in E. coli, overexpression of the olsB gene could be achieved under the control of the inducible T7 promoter, resulting in lyso-ornithine lipid production and biosurfactant activity in the culture supernatants. Screening for activity in more than one host increases the range of sequences that can be identified through metagenomic, since olsB would not have been identified if only E. coli had been used as a host. The potential of lyso-ornithine lipids as a biosurfactant has not been fully explored. Here, we present several biosurfactant parameters of lyso-ornithine lipid to assess its suitability for industrial application. The online version of this article ( https://doi.org/10.1007/s00253-019-09768-1) contains supplementary material, which is available to authorized users. We thank members of the Institute for Microbial Biotechnology and Metagenomics (University of the Western Cape) as well as members of the Bioprocessing Engineering (Hohenheim University) for their forbearance and support during the period this study was conducted. This work was supported by research grants from the South African National Research Foundation (UID 87326) and the Technology Innovation Agency (UWC 014-TSF) as well as the South Africa-Germany bilateral exchange (105876). Wesley Williams declares that he has no conflict of interest. Lovemore Kunorozva declares that he has no conflict of interest. Iris Klaiber declares that she has no conflict of interest. Marius Henkel declares that he has no conflict of interest. Jens Pfannstiel declares that he has no conflict of interest. Leonardo, J. Van Zyl declares that he has no conflict of interest. Rudolf Hausmann declares that he has no conflict of interest. Anita Burger declares that she has no conflict of interest. Marla Trindade declares that she has no conflict of interest.